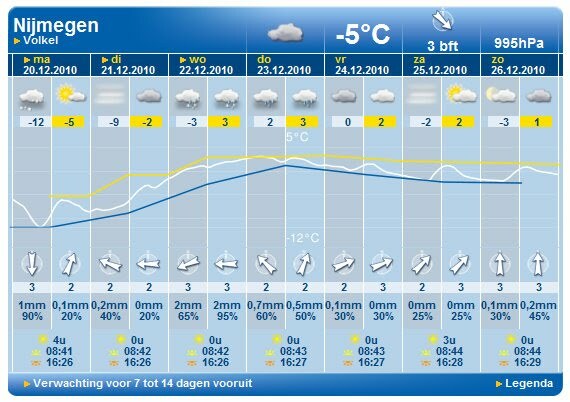 PPI Nijmegen [pipin]: winter wonderland? This winter has started early and is accompanied by generous snow shower and snowstorm lately. Today I was out of my room and found out that the virgin snow is at least 20cm thick! It was beautiful, really! And I saw some children playing on sleds. 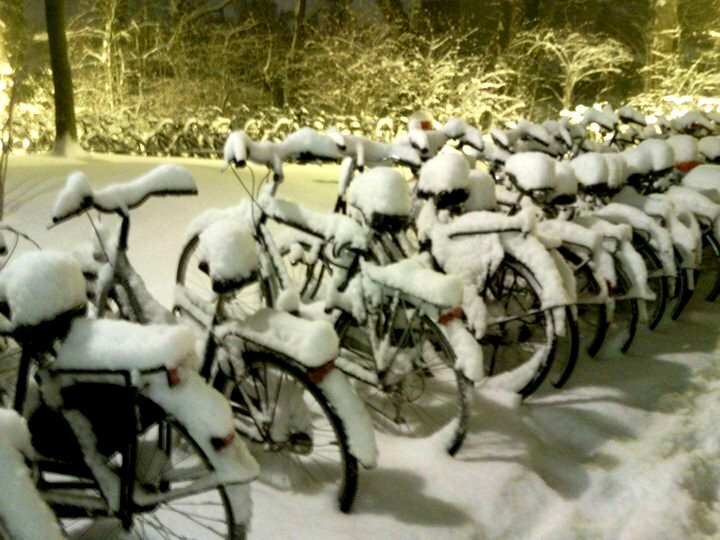 I might want to make a snowman later ;) However on the dark side, the bus lines has stopped for today and the thickness of the snow (and if the snow melts; the slippery ice) has made biking difficult. Not to mention, the cold! vossendijk, nijmegen. 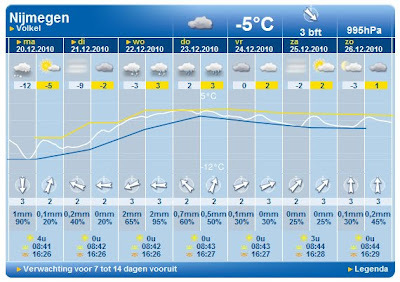 as captured by eugin on 19 December 2010, 21:30.
weather forecast as seen on weer.nl. Hoping for a friendlier winter, no?